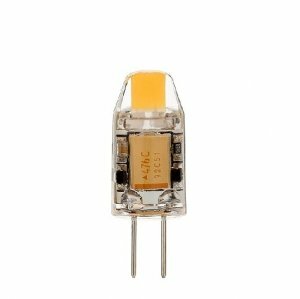 The new 12V JC10/ G4/bi-pin base LED series use COB LED sources and is ideal to replace JC10 bi-pin G4/bi-pin base Incandescent and halogen bulbs. Available: 1W, 2W, 3W* options. This bulb is highly versatile, which can be retrofitted into Landscaping lighting and also RV, Auto, Boat lighting application from the indicator or cabin lighting to reading lights and offers significant energy savings and environmentally friendly. 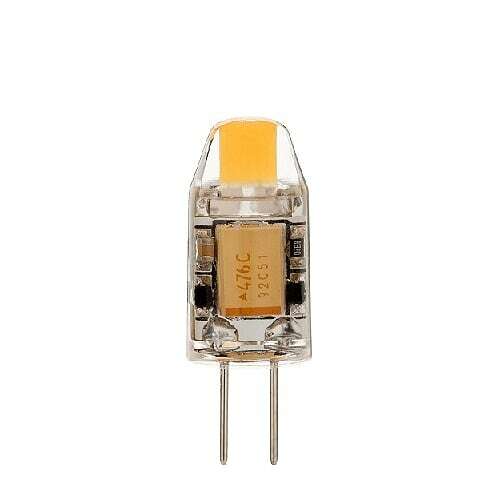 Light output is 360° which is perfect for even dispersion applications. *1 WATT bulb pictured in image 1, 3 WATT bulb pictured in image 2.